Most in the Heated Pools in Other Cities in Lower Saxony (Lower Saxony) (Lower Saxony) offer both open lanes for independent swimming and also guided activities like water aerobics or aquabike. There are usually discounts available to senior citizen and small children. Find out by contacting your nearest pool in Other Cities in Lower Saxony. Traveling to Other Cities in Lower Saxony? This is the right spot on the internet to discover places to swim in Other Cities in Lower Saxony. Every day you happen to be not swimming you're losing precious time to boost your skills a be a far better swimmer! No a lot more excuses!. Please check the nearest Heated Pools in Other Cities in Lower Saxony (Lower Saxony) (Lower Saxony) or Contact us to ADD IT. It's free of charge! Swimia.com needs your feedback to ensure all the information is valid, due to the fact maybe this pool is no longer open towards the public. For Other Cities in Lower Saxony and its vicinity, we're showing you all of the registered Heated Pools in Other Cities in Lower Saxony (Lower Saxony) (Lower Saxony), some of them have no GPS coordinates and you're not choosing them at the map. It's difficult to visit Other Cities in Lower Saxony with out dropping by Hanover (with 515.140 residents). At present Swimia is showing you all the Swimming Pool in Hanover and the closest pools located in its vicinity. Holding an estimated population of 123.064, Wolfsburg is one of the most important cities in Other Cities in Lower Saxony. Check all the Swimming Pool in Wolfsburg and its surrounding area. Without a shadow of a doubt, swimming in Göttingen is the best option to unwind after work. 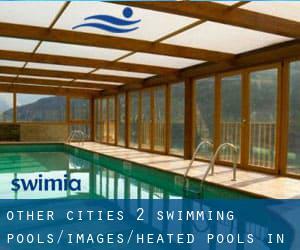 Take a couple of minutes to browse Swimia's catalog to find a Swimming Pool in Göttingen. Swimming is a excellent idea to keep your body active during your visit to Braunschweig (Other Cities in Lower Saxony), or even in case you are a local. Swimia helps you to discover your closest Swimming Pool in Braunschweig. Updated on 2019 Zum Salzgittersee 25 - 27 , Salzgitter , GERMANY (Postal Code: 38229). This sports center offers 25 meters, 6 lanes, 2 meters - 3.8 meters depth, 2 meters - 3.8 meters depth, Indoors. Contact facts for this Swimming Pool like phone number and email address are number. Updated on 2019 Klosterstraße 19 , Rinteln , GERMANY (Postal Code: 31737). This sports center offers 25 meters, Indoors. Contact information for this Swimming Pool including phone number and email address are number. Updated on 2019 Ludwigstraße 3 , Berenbostel , Garbsen , GERMANY (Postal Code: 30827). This sports center provides 25 meters x 12.5 meters, Indoors. Contact information for this Pool for example phone number and email address are number. Updated on 2019 Goethestrasse 27 , Borkum , GERMANY (Postal Code: 26757). Among all the activities offered by the center, should you be thinking about swimming you might enjoy 25 meters x 10 meters, Indoors. If you need to contact this Swimming Pool, email address and phone number are both number. Updated on 2019 Breitinger Kirchweg 7 , Rotenburg , GERMANY (Postal Code: 27356). Among all the activities offered by the center, in case you are considering swimming you are going to appreciate 25 meters, 6 lanes, Indoors. Just in case you desire to get in touch with this Pool prior to dropping by, we only know the phone number. Updated on 2019 Theaterstraße 2 , Emden , GERMANY (Postal Code: 26721). Swimmers like you reported 25 meters x 12.5 meters, 5 lanes, Indoors. Unfortunately we do not have the e-mail address of this Pool, but we can give you the phone number. Updated on 2019 Lange Feldstraße 15 , Gehrden , GERMANY (Postal Code: 30989). Among all the activities offered by the center, for anyone who is enthusiastic about swimming you'll delight in 25 meters x 10 meters, Indoors. If it is advisable to contact this Swimming Pool, email address and phone number are both number. Updated on 2019 Am Hallenbad / Rudolf-Harbig-Straße , Pattensen , GERMANY (Postal Code: 30982). This sports center offers 25 meters, 4 lanes, 1.8 meters - 3.3 meters depth, 1.8 meters - 3.3 meters depth, Indoors. Contact information for this Swimming Pool such as phone number and email address are number. Updated on 2019 Panther Business Center , Mittelweg 7-8 , Braunschweig , GERMANY (Postal Code: 38106). Swimmers like you reported 20 meters, Indoors. Phone number and email address are number for this Swimming Pool. Updated on 2019 Goethestr. 3 , Zeven , GERMANY (Postal Code: 27404). This sports center offers 25 meters, 5 lanes, Indoors. Contact facts for this Swimming Pool including phone number and email address are number. Updated on 2019 Bienroder Weg 70 , Braunschweig , GERMANY (Postal Code: 38106). This sports center provides 25 meters, Indoors. Contact details for this Pool just like phone number and email address are number. Updated on 2019 Unterwallweg 5a , Bueckeburg , GERMANY (Postal Code: 31675). This sports center gives 25 meters, 5 lanes, Indoors. Contact information for this Swimming Pool just like phone number and email address are number. Updated on 2019 Im Wegrott 37 , Osnabrueck , GERMANY (Postal Code: 49084). This sports center offers 25 meters, Indoors. For this Pool, only phone number is number here.